I am using GIMP and have been pulling what little hair I have left out!!! I have become very proficient at selecting adding color adding layers and so on. I can sucessfully save to dds and put work into vsk and make it show. My problem is I do not understand the procedure for working in the ALPHA CHANNEL. I know where it is (I Think) In the hue tab( the little colored squares). But what do I do??? Please share the procedure, If you could please give me a step by step. Dan I am putting this out to Gazza or any one else that may have some insight to this. If you can share the procedure in photoshop that would be great. Thanks ...been to northspace but am unable to figure it out. Just a little puzzled with the how to in the Alpha channel. I found a web site that explains how to create a skin, manage alpha chanel etc... however it is in french. So I can try to summarize what is written there. 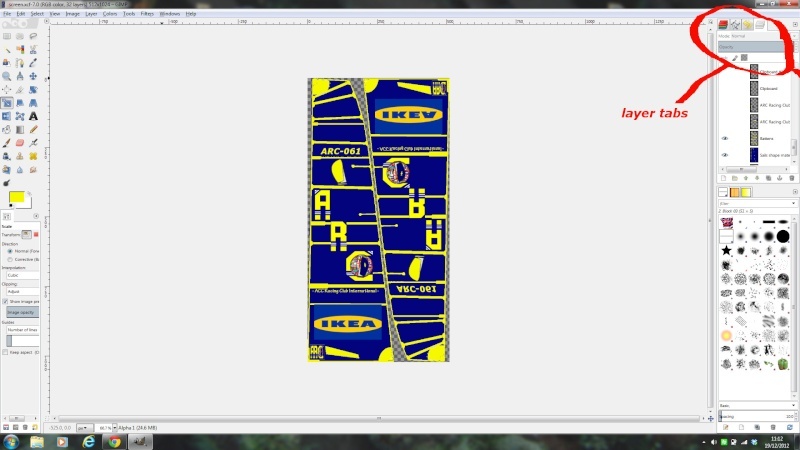 The first step is from a .dds file, create .bmp files. This is done with the free software DXTBMP. When you open a .dds file with DXTBMP, you have the main file in front of you and the alpha channel in the small box on the top right of the window. Then you have 2 bmp files, one colored and one black and white. The black and white file is the alpha channel and it shall be understood that the more black it is the more transparent will be the final result and on the contrary the more white the more opaque. When you finished and you have your beautiful files (both .bmp files) you need to combine them in a .dds file. This is also done with DXTBMP. In the menu you open the colored bmp file by clicking in the menu file/open and selected the file. In the little top right window you open your alpha channel by clicking on the button "import alpha channel" (1st button) and selecting the .bmp alpha chanel file. The merging of the 2 files into a .dds file is done by saving the file by clicking in the main menu file/save as/dds texture/save as type DDS DXT5. 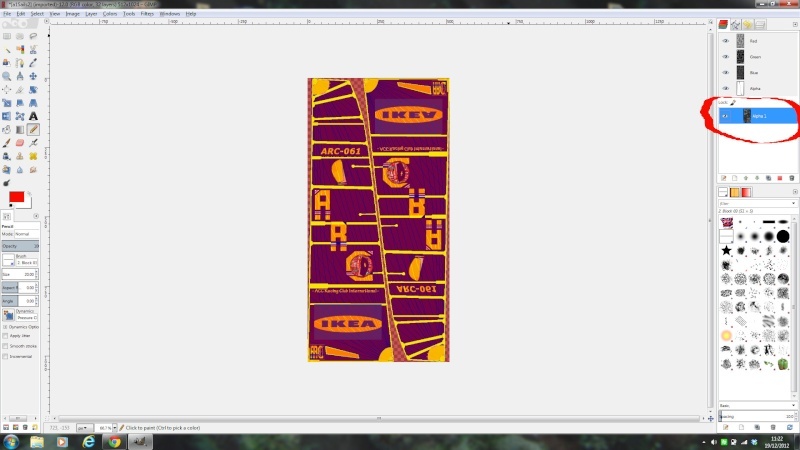 Unless you have worked from scratch ie no template I tend to make the base/original layer invisible. My understanding is the the closer the colour is to the basic layer colour the less transparent the finished product is. Now make that channel invisible again and save work as usual. Bloody brilliant!!! Glad guys are starting to make use of pictures now. Only so much can be relayed through text, I alwyas find pictures far more useful. 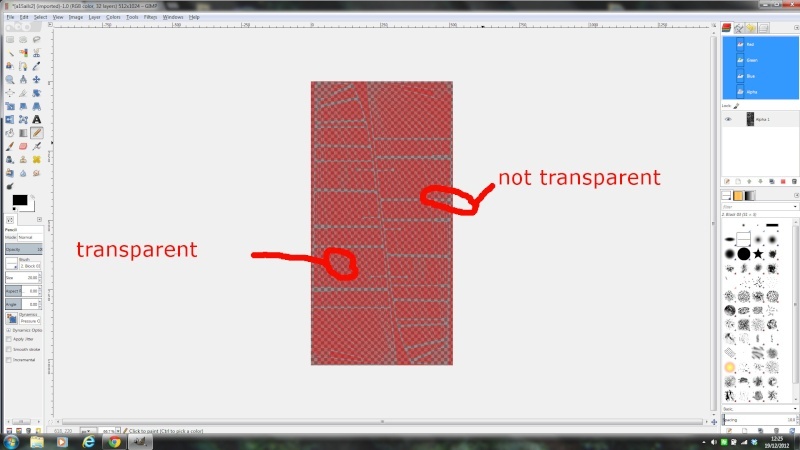 Great explaination too SAF I already know how to make sails transperant in Photoshop but not in Gimp. The last piece of the puzzle is still, missing however and that is to clear backgorund of graphics so they can be overlayed to the sail. At the moment its a painstaking colouring process that should be as easy as clicking a button to make the background of a picture transperant. 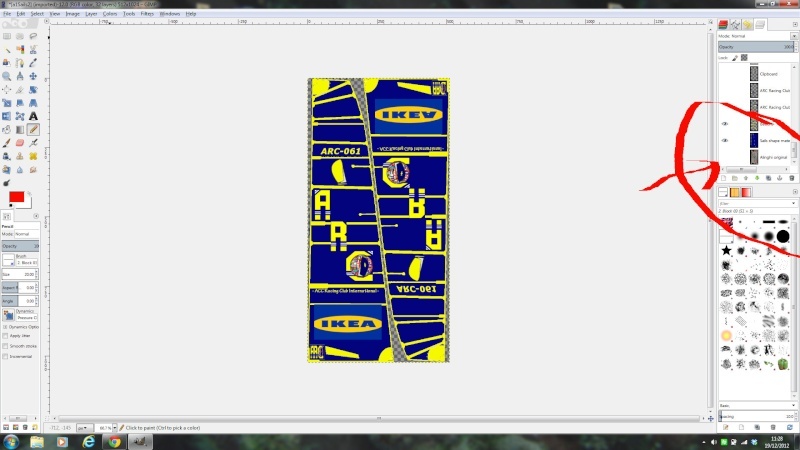 Maybe I just need to open each graphic in Photoshop to do that I dont know. Great post though guys and a very useful resource, thanks for working on it fellas. I'm not entirely sure of what you mean. 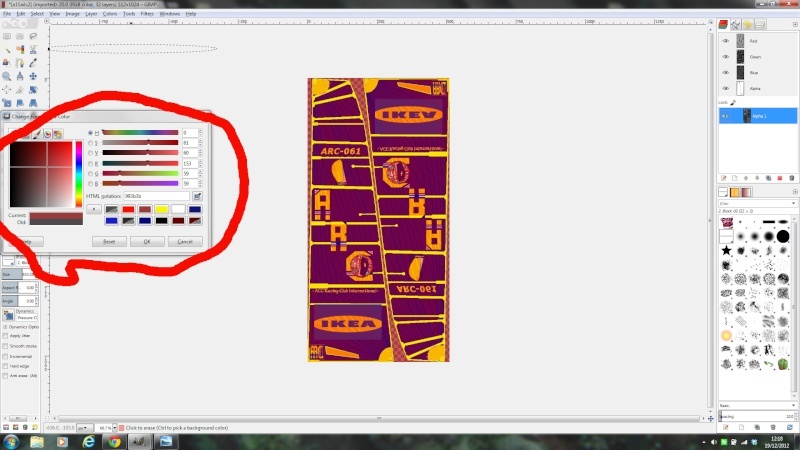 Are you using an old sail template and you mean that you can still see like shadows of unwanted details, like a cup or logo or like the batons on the above image for instance, if So then the only way I can think of is to highlight the alpha layer and colour the layer in, like you say.